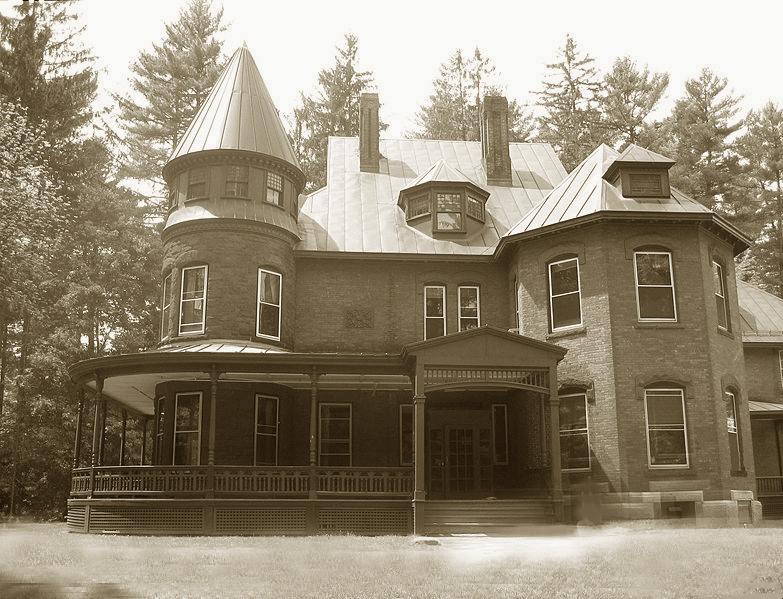 The disappearance of an eighteen year old Bennington College student named Paula Weldon in 1946 resulted in changes to the attitudes of many opponents of the formation of a Department of Public Safety. Bennington county officials were unsuccessful in locating the student and were forced to call on State Police investigators from Connecticut and New York for assistance. Local investigators and the State Police from Connecticut and New York were at a loss for clues in the case so Vermont’s Governor called the FBI. Tragically the case was never solved. This case, plus Governor Gibson’s efforts ended a decade-long struggle with the Vermont Legislature passing Act No. 163. On July 1, 1947, the Vermont Department of Public Safety became a reality. Major General Merritt A. Edson, a former U.S. Marine and Medal of Honor winner in World War II, formed the Department of Public Safety and became the first Commissioner. The State Police uniform was modeled after the U.S. Marine Corps uniform and remains a lasting legacy of General Edson. Major General Edson was from Rutland, Vermont. He is buried in a prominent location near the front gate of Arlington National Cemetery. The original strength authorized for the Department was 62, with 7 civilians and 55 troopers. Twenty-seven officers transferred from the Highway Patrol to the Department. This class of Troopers tallied a total of 606 years of service to the people of Vermont before retiring. Many of the original department members would probably like to forget the working conditions of those first years. The trooper’s worked a ninety hour week in 1947-48. Each trooper was responsible for both criminal investigation and routine motor vehicle patrol. They only had one day off a week. No trooper was allowed a vacation between May 15 and September 15. Troopers were on duty Saturdays and Sundays and worked all holidays. They were paid $48.00 a week! The first Headquarters was established February 9, 1948 at Redstone in Montpelier. For the price of $25,000, the State bought the building and ten acres of land. The photo lab was housed in the basement and equipped with state of the art equipment. Housing the photo laboratory in the basement had a number of unanticipated consequences. Spring thaw and heavy rains flooded the cellar and personnel had to wear rubber boots and wade through the runoff. The fleet was enlarged in 1948. The Department purchased 25 Ford sedans, two Pontiac sedans, and one Pontiac coupe for a total price of $14,742.41. The first State Police radio system was completed September 28, 1948. For the first time, a three-way radio system allowed stations to talk to each other and to patrol cars. However, some of the original Troopers and dispatchers will tell you the system was a far cry from today’s. The radio system did eliminate the need to post signs in public places. The year 1949 saw the creation of the Fire Prevention Division and the Identification and Records Division. The State Police improved police services through training, public relations and safety education. The Department became visible through appearances at fairs, in schools and civic gatherings. School safety patrols were started. For many years, end of the year school patrol picnics were a well-earned treat for the volunteers. 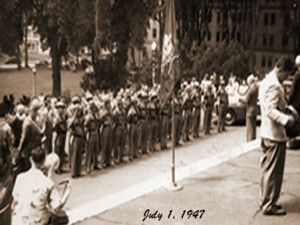 Troopers joined these picnics serving hot dogs and ice cream to the students.General Edson resigned in mid-1951 after four years of valuable service.